HAMBANTOTA, Sri Lanka—Sitting in a tent in the stifling heat, Latha Wijesiri, a volunteer health worker, talks quietly with four women about their immediate emotional and physical needs. 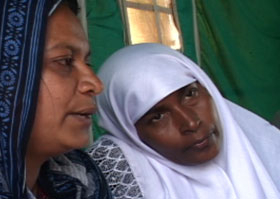 One of the women, the youngest, lost her husband to the tsunami which ravaged Sri Lanka’s southeast coast a month ago. The rest have lost relatives and friends. All have lost their homes and livelihoods. The entire waterfront section of the city of Hambantota was swept away by three massive waves. In the aftermath, 4,500 people perished in this district and thousands were left homeless. Some 500 traumatized survivors, living in tents on the rubble of their fishing community, are now trying to rebuild their lives. 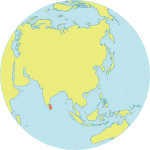 A $610,000 grant from the German Government will be used to address sexual and gender-based violence in Sri Lanka. The grant will also be used to assist victims by providing services, including long-term psychological support. New York: David del Vecchio, delvecchio@unfpa.org, tel. +1 212 297 4975, mobile +1 917 518 7743 or Omar Gharzeddine, gharzeddine@unfpa.org, tel. +1 212 297 5028. Bangkok: William A. Ryan, ryanw@unfpa.org, tel. +66 2 288 2446, mobile +66 9 897 6984. Indonesia: Maria Endah Hulup, mendah.unfpa@un.or.id, tel. +62818942050 or +6281511576660.